passage of resolution designating June 19, 2018, as "Juneteenth Independence Day"
Washington, D.C. - U.S. 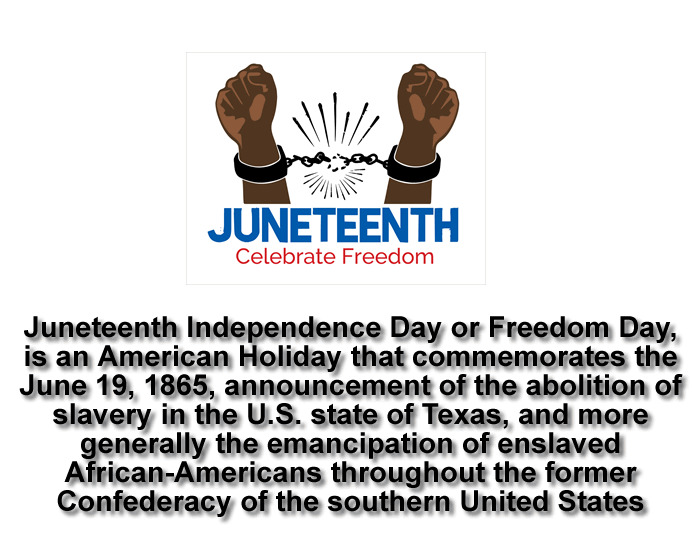 Senators Kirsten Gillibrand (D-NY) and Roger Wicker (R-MS) today announced the passage of their resolution designating June 19, 2018, as "Juneteenth Independence Day," in recognition of June 19, 1865, the day slavery legally came to an end in the United States. "Every year on Juneteenth we celebrate Emancipation, recognize the work left to do, and continue our commitment to a more equal future for all. Juneteenth is a holiday for all of us to observe the end of slavery, and to joyfully celebrate freedom with a shared sense of responsibility, inspiration, and encouragement," said Senator Gillibrand. "I am proud to have worked in the Senate with over 45 of my colleagues to pass my resolution commemorating 'Juneteenth Independence Day'." 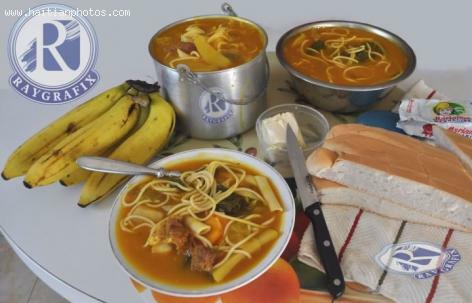 Haiti celebrated its 211th anniversary on January 1, 2015. President Martelly, speaking after mass at Gonaïves Cathedral, said it was time to put aside differences and unite as a country in preparation for long-delayed state and local elections. Haiti has been in the throes of a mounting political crisis, which reached a high point when Prime Minister Laurent Lamothe was forced to resign in deference to the Consultative Commission's recommendations in December. Martelly quickly appointed Evans Paul as prime minister and Parliament's approval will seal the deal. Martelly has consulted with all actors involved, and it has been agreed to extend the mandate of seated legislators, according to a signed document. Martelly used the occasion of the 211th anniversary to invoke a sense of renewal and purpose. He wants Parliament and all political parties and organizations to transcend their convictions, to unite and ". . . together to remove barriers that hold us back on the road to progress and development." The Haitian Earthquake is the worst earthquake disaster in recent memory. On the fourth anniversary of this devastating earthquake, Maxine waters, the Congresswoman who is better known as a leading advocate for the Haitian people in the U.S. Congress, introduced a bipartisan resolution to honor the 210th anniversary of Haiti's independence. Ms. Water along with four other members like John Conyers, Barbara Lee, Yvette Clarke and Frederica S. Wilson, have released a statement to honor those affected in that natural disaster in 2010 and salute the strength and resilience of the most vulnerable nation on the Western hemisphere--the Haitian people. Ordered by Jean-Jacques Dessalines, Haiti's first ruler, it aimed to rid Haiti of the mulatto elite. In 1804, he sent battalions of soldiers to slaughter approximately 3,000 to 5,000 white men, women, and children. The reason for the genocide was retaliation against the French occupiers for crimes against African blacks. The Perfect Ship Massacre. Occurred in 1758 on the British eponymous ship, which carried African slaves. Three hundred African revolutionaries formed a blockade around the ship. Armed, they got aboard and slaughtered British Captain William Potter, along with his crew, freeing the black slaves. 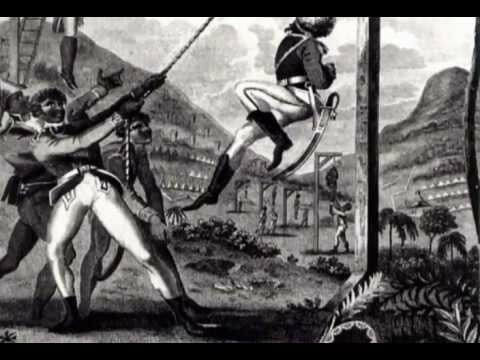 The 1865 Jamaican Morant Bay Uprising. Provoked by the unjust rule of the British colonial government, leader Paul Bogle and his comrades torched the Court House, taking over the city. Why wasn't Jean Bertrand Aristide Present in Gonaives? The 210th Anniversary Of Haiti Independence was celebrated in Gonaives with many dignitaries present in Gonaives for the occasion. In a sign of unity, president Michel Martelly had invited several former Haitian presidents to join him in Gonaives for the occasion. Unfortunately, only two showed up: Jean Claude Duvalier and Prosper Avril. 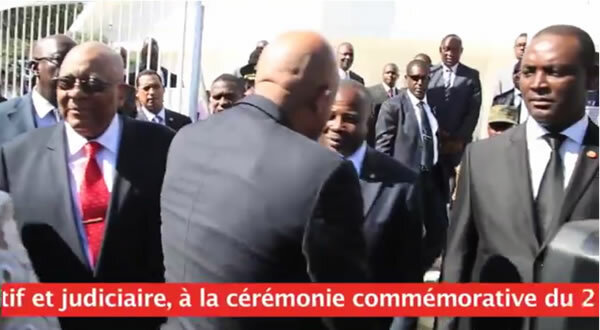 President Martelly invite tout ansyen President yo, poukisa nou panse gin nan yo ki pa vini? This proud celebration of our 210th anniversary or our independence was celebrated in the city of Gonaives. Starting with a Mass held at the Cathedral of Gonaives. Bishop Yves-Marie Péant who presided talked about love and unity. 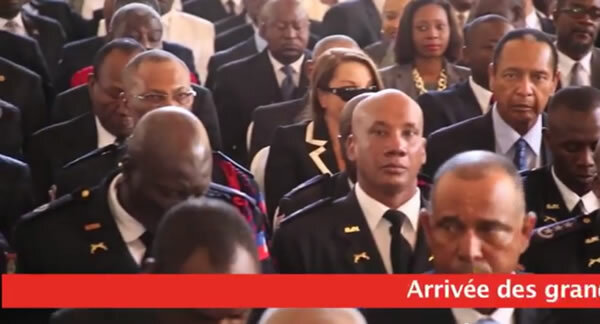 The religious ceremony was followed by a presentation at the Place d'Armes of Gonaives where President Michel Martelly and several dignitaries were present, including Senator Simon Dieuseul Desra and Deputy Jean Tholbert Alexis. A gesture that was very appreciated. The Haitian President had invited several former presidents to commemorate the 210th anniversary of Haiti Independence. unfortunately, only two showed up: Jean Claude Duvalier and prosper Avril.